They're a staple of American television and the only reason anyone should ever consider going into law enforcement...well aside from the pursuit of justice, or whatever. Perhaps, even better than the shows themselves, are the opening credits. Whether they showcase badass explosions or simply supply the nation with a catchy theme song, they're vital to the TV-loving audience and are the reason average citizens are even aware of the Miranda warning. You've probably never heard of Cop Rock and that's definitely a good thing. By combining the genres of "cop show" and "musical," Cop Rock changed the game in 1990 and then badly lost said game. TV Guide called it: "the single most bizarre TV musical of all time," so at least they had that. Wait—Randy F*cking Newman? The only show that successfully got away with naming a guy "Magnum"—this '80s classic featured the original mustachioed purveyor of the harshness, Tom Selleck. Our one constructive criticism: not nearly enough Tom Selleck. You've really got to hand it to the songwriter for fitting the entire title of the TV show in the theme song. 21 Jump Street is the Ghostbusters of theme songs. It actually pairs quite nicely with the badass explosions and vanity shots of a pre-Jack Sparrow Johnny Depp. Does anyone actually even remember Depp before he was a pirate? We know you're in there somewhere, Depp! Fight the urge and join us back on planet Earth! The creepy opening music from Dexter isn't much to write about—it's the images that have stuck with viewers since 2006—even through the disappointing series finale. The ritual depicted in the opening credits shows Dexter's meticulous morning routine with macro-photography to give the audience the sense that everything is just a tad awry. It's a look into the character's brain: violent, but deceivingly normal. Remember being a kid and hearing the eerie opening whistle of The X-Files? It was a theme song that struck fear in the hearts of children (and parents) and ended with the triumphant mission statement of the entire show: The Truth Is Out There. Miami Vice was the 1980s. Those blazers. The synthesizers. That parrot. Do we have any proof that Don Johnson wasn't on drugs the entire time this show was on the air? The theme song, appropriately called "Miami Vice Theme" even had a spot on the Billboard Hot 100 at—get this—number one. Could New York City have been shown in a worse light than in the NYPD Blue opening credits? The quick cuts and jarring drums put the viewer in an antsy mood, while the random shots of Dennis Franz get us even antsier—though he was the only actor to remain in the show for all 12 seasons. Go Sipowicz! The cop show opening to glamorize the idea of being a cop—in HAWAII! The theme song, composed by Emmy-winning film score composer Morton Stevens, gave the audience a sense of tropical adventure, while the exotic environment led Americans to finally consider a 20-hour plane ride to the volcano-laden islands of Hawaii. Book 'em, Danno! While we can't fully endorse a police force that employs Ice-T as a working cop, Law & Order is the go-to show for those who want to learn more about law and order and the franchise has been going strong for nearly 25 years. That driving bass and rock guitar...perfect. 2. 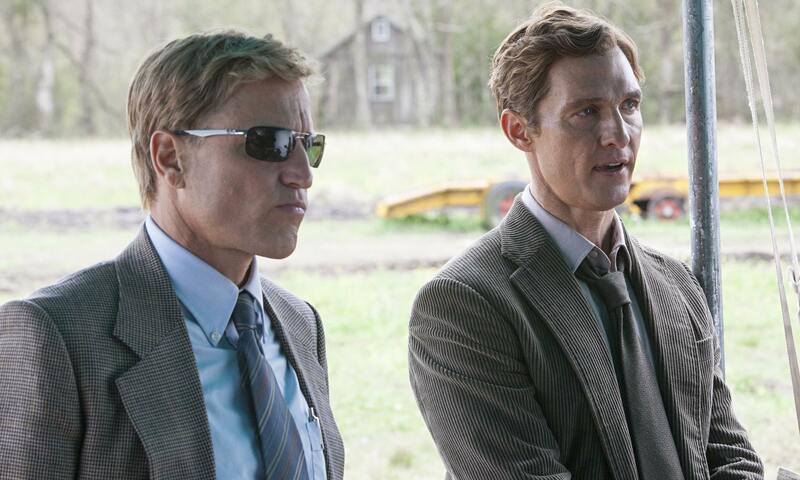 True Detective Easily one of the best modern cop shows, this opening took quite a lot of thought. Directed by Sydney-based Creative, Patrick Clair, the use of double-exposure photography and slow-motion produces an other-worldly effect while hinting at the show's greater themes. Alternative-country band, The Handsome Family, supplied a song absolutely rife with creepiness and mystery to start off a series that left us all on the edge of our proverbial seats. Does it get any more iconic than Cops? Aside from being the only reason Jamaican reggae band Inner Circle's 1987 song "Bad Boys" took off, this intro showcased America's scummiest criminals just doing the most idiotic sh*t. Plus, there's that killer voiceover saying that "all criminals are innocent until proven guilty"—okay, tell that to the smoking dude in the wife-beater. Jeremy Glass is the Vice editor for Supercompressor and likes his women like he likes his cops: crooked and close to retirement?